Centreville, Virginia makes it easy to find activities for children of all ages. From parks and museums to theaters and bowling alleys, fun kid-friendly attractions are plentiful. Here we’ve gathered a list of the top kids’ activities in Centreville, VA.
Krazy Khemistry is a mobile science lab designed for children ages 4 and up. While the business specializes in preschool classes and birthday parties, they also offer workshops and community events. 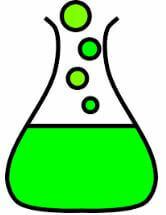 The team of Krazy Khemistry teaches children how fun and interesting science can be through hands-on workshops and live demonstrations. Contact Krazy Khemistry to see what events they have coming up. Spend the afternoon playing a few games of bowling with the kids. The AMF Centreville Lanes feature 32 bowling lanes, as well as a shoe rental service. The Lanes also has a relaxing lounge area equipped with flat-screen TVs that show sports programming. Older children will enjoy the arcade game machines and the treats available at the snack bar. 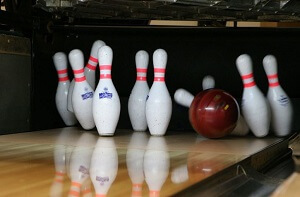 Computerized score keeping is available to keep the bowling trip stress-free. There’s nothing better than spending a day with the family in the great outdoors. At the Ellanor C. Lawrence Park in Centreville, families can picnic, hike, or play on the beautiful wildlife preservation. Also onsite is the Walney Visitor Center’s refurnished 1780’s farmhouse. The park preserves the natural and cultural resources of western Fairfax County and has an extensive history going back more than 8,000 years. Located on Multiplex Drive in Centreville, the Cinemark is a movie theater multiplex offering the latest films on the big screen. Bring the kids to see the most newly released Hollywood movies in digital video and sound. Some auditoriums also offer 3D flicks. In addition to having multiple screens, the Cinemark offers movie-goers stadium seating and self-service ticket kiosks. Call the theater to see what films are currently playing. While the Atlantis Waterpark is only open during the summer months, it offers days of fun in the sun for kids of all ages. When the weather gets hot, bring the entire family to Atlantic to enjoy the large pool area, multiple waterslides, and separate play area for younger children. The Atlantis-themed waterpark is located just outside Centreville at the Bull Run Regional Park. Just a 10 minute drive from Centreville is the National Air and Space Museum. Fun for kids and adults, the museum displays thousands of aviation and space artifacts that are both fascinating to look at and learn about. The museum also offers the Donald D. Engen Observation Tower and the Airbus IMAX Theater. 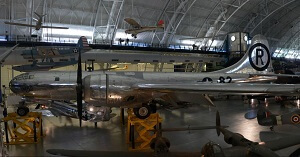 You can find the museum near Washington Dulles International Airport. There’s no shortage of fun things for children to do in Centreville, Virginia. Whether you live in Centreville or are just visiting, take the time to explore all that the area has to offer. These kid-friendly activities will keep your children active while also piquing your interest.